Antverpiæ : Ex officina Plantiniana apud Ioannem Moretum 1607, 1607. Book measures 18 x 11.5. cm. ,394,4pp, Bound in early quarter calf, [ probably 200 years old ], marble boards, raised bands, gilt title lettering, marble endpapers. Binding in very good clean firm condition. Internally, small repair to title page, pages clean throughout. A nice clean well bound copy. . Quarter Calf. Very Good. 8vo. London: Trubner & Co , 1872. Book measures 7 1/2 x 5 1/2 inches. viii,544pp. Bound in original publishers green cloth, gilt head and tail bands, gilt lettering, blind lines to boards. Probably recased at some time, [ dosen't look recent ], new endpapers, cloth lightly rubbed, slight cloth wear loss on corners of boards. Binding in very good clean firm condition. Internally, previous owners bookplate. Pages in very good clean condition throughout. A very nice clean solid copy. . First Edition. Publishers Cloth. Very Good Plus. 8vo. London: Printed by E. Holt for George Sawbridge , 1701. Book measures 7 3/4 x 5 inches. Collation, ,167-,,21,144pp. Bound in full calf. Rebacked, retaining the original panelled boards, raised bands, leather title label. Boards slightly sprung. Binding in very good clean firm condition. Internally, previous owners bookplate. Pages in very good clean condition. 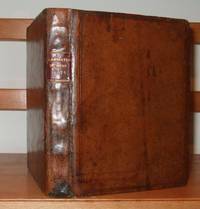 A very nice clean copy, in an attarctive full calf binding. . Full Calf. Very Good Plus. 8vo. London: printed by Adam Islip, for Thomas Adams , 1616. 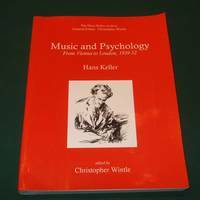 Book measures 7 1/4 x 5 7/8 inches.Collation, ,333pp, 2pp table. Bound in full period or early calf, blind lines to board edges, leather title label, [ probably a later label ], new endpapers. 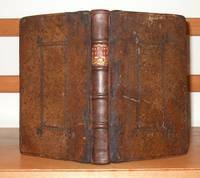 At some time the binding has most likely been repaired. Binding in very good clean firm condition. Internally, extensive notes/annotations on front and rear free endpapers, [ look quite early ], previous owners name and date 1950 on front free endpaper, page yii has a short closed tear. Pages in very good clean condition. A very nice clean well bound copy. . Period Full Calf. Very Good Plus. 8vo. 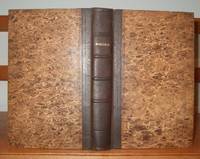 London: J. Hatchard and Son, 1841. Inscribed on Title page '' George Augustus Sale, 46 Mecklenburgh Square, London ''. Presumably his copy. Book measures 8 1/2 x 51/2 inches. Collation, xix,213pp. Bound in original publishers half calf, marble boards, full marble edges, coloured endpapers. Calf rubbed on edges, with some loss on head of spine, minor abrasion wear. Binding in good clean firm condition. Internally, first few pages slightly pulling on inner joint. Pages in good clean condition. A nice copy. . Period Half Calf. 8vo. Great Britain: Plumbago Book & SOAS, University of London, 2003. Book measures 9 3/4 x 7 1/2 inches. xviii267 pages. Softcover binding lightly marked, light crease line on top board. Binding in very good clean condition. Internally, light crease line to corner of first 30 pages. Pages in very good clean virtually unread condition. A nice clean copy. . Soft Cover. Very Good. 8vo. London: London. : Printed for Dorman Newman at the Kings Arms in the Poultry. 1678, 1678. Bookplate of Alvin Langdon Coburn. Book measures 7 1/4 x 4 1/2 inches. Collation,, 176 p.,  leaves of plates. Bound in full calf, [ probably about 100 years ago ], raised bands, gilt fleur-de-lis gilt design within compartments, gilt rule lines, full gilt edges. At some time this volumes has been rebacked, retaining most of the original spine. Some minor wear on edges, some discolouring of leather. Generally a very nice firm binding. Internally, early previous owners name on title page. Pages and plates in good clean condition. A very nice copy, in an attractive full leather binding.. First Edition. Full-Leather. Very Good. 8vo. USA: University of Toronto Press , 1964. Complete in 2 volumes. Books measure 9 1/2 x 6 1/2 inches. xxvii,784pp. 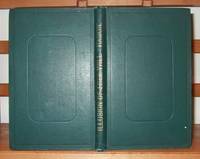 Bound in original publishers green cloth. Both bindings in very good clean condition. Dust jackets, dust/dirt marked, some minor wear. Jacket in good condition. Internally, pages clean throughout. A good clean set.. Very Good/Near Very Good. 8vo. Sylva Sylvarum: Or, A Natural Historie. In Ten Centuries. London: Printed By John Haviland, for William Lee, 1639. Book measures 11 1/2 x 7 3/4 inches. 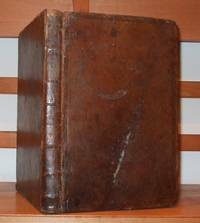 Collation, , 218,, , New Atlantis, 43pp, complete with engraved frontis, and additional engraved title. Bound in full period or early calf, flat bands, blind lines to boards. Calf rubbed, scuffed, some loss on edges and corners, short split on joints, but both boards holding firm. Generally a good period binding. Internally, lacking fixed endpapers, initial stamp [ BE ], on both endboards, and on verso of title page, short tear to margin of frontis, small light stain marks to first few pages, light staining to lower half of about 30 other pages. Signature of Geoffrey Keynes on endpaper '', A few other inscriptions, of which two are dated, 1642,1672. Pages in good clean condition. A nice copy. . Fifth Edition. Period Full Calf. Very Good. London: Humphrey Moseley, and Thomas Dring, 1656. Complete in 8 parts. Book measures 11 1/2 x 7 3/4 inches, ( 29x19.5 mm ). Collation, 120,tp,19,tp,119,,tp,46,tp,159,,tp,120,tp37,,tp142,20pp, Chronologie, and tables, 2pp errata. 14 full page engraved portraits. 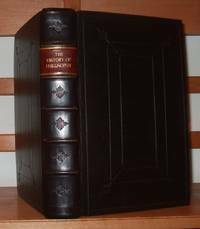 Bound in full modern antiquarian style calf, with panelled boards, raised bands, blind centre stamp, dark red leather title label. Binding in excellent condition. Internally, early previous owners name on first & second title, very occasional light spotting, one engraving repaired on margin. 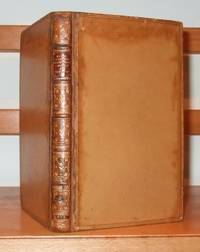 Pages and engraved plates in very good condition throughout. A very nice copy, in a very attractive binding. A13. First Edition. Full Leather. Very Good. Small Folio. Hong Kong & London: Trubner & Co & Charles A. Saint, 1871. Collation, 38pp. 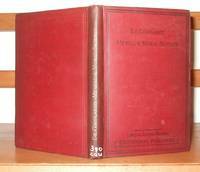 Bound in later buckram/cloth, cloth lightly rubbed with a few small abrasion wear mark. Binding in good clean condition. Internally, no loose pages, first 10 pages have some annotation writing/marking. Pages in good clean condition.8549.A14. First Edition. 8vo - over 7¾" - 9¾" tall.